It's almost Summer, and that means I have been stockpiling books that I plan on reading over the course of the next several months. Since the list is a little long, it will more than likely carry over into Fall as well. But that isn't too much of an issue since I don't start my junior year of college until January. (Can we talk about how excited I am to not have to go to school until January!?) I've included some information of each book, just in case you are looking for some new books to add to your life too! "David’s wife is dead. At least, he thinks she’s dead. But he can’t figure out what killed her or why she had to die, and his efforts to sort out what’s happened have been interrupted by his discovery of a series of elaborate and escalating threats hidden in strange places around his home—one buried in the sugar bag, another carved into the side of his television. These disturbing threats may be the best clues to his wife’s death..."
"May We Shed These Human Bodies peers through vast spaces and skies with the world's most powerful telescope to find humanity: wild and bright and hard as diamonds. Here is humanity building: families reconstruct themselves, mothers fashion babies from two-by-fours and nails, boys make a mother out of leaves and twigs and wishes. 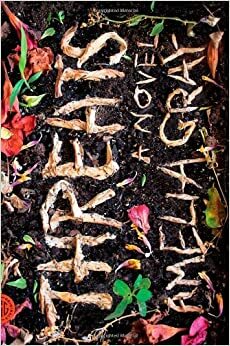 Here is humanity tearing down: a wife sets her house on fire in revenge, a young girl plots to kill the ghosts that stalk her, a dying man takes the whole human race with him. 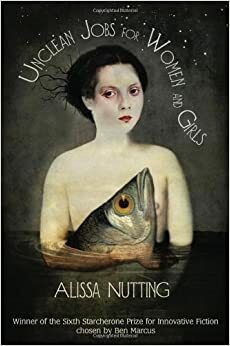 Here is humanity transforming: feral children, cannibalistic seniors, animal wives—a whole sideshow's worth of oddballs and freaks." "Brooke and Sugar are killers. Bird is the boy who mysteriously woke beside them while between towns. For miles, there is only desert and wilderness, and along the fringes, people. The story follows the middling bounty hunters after they've been chased from town, and Bird, each in pursuit of their own sense of belonging and justice. 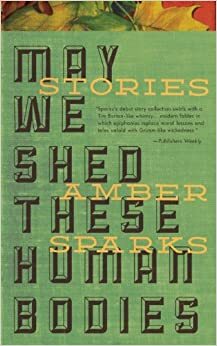 It features gunfights, cannibalism, barroom piano, a transgender birth, a wagon train, a stampede, and the tenuous rise of the West's first one-armed gunslinger. 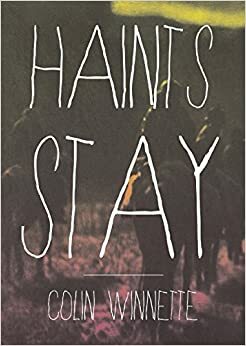 Haints Stay is a new acid western in the tradition of Rudolph Wurlitzer... it is brutal, surreal, and possesses an unsettling humor." Oooh! All of those sound so good, especially the last one. I might have to mosey on over to Amazon when I leave here. That's so cool you're taking an extended break too! I definitely need one before this last leg. I'm switching schools and honestly I am a little nervous.